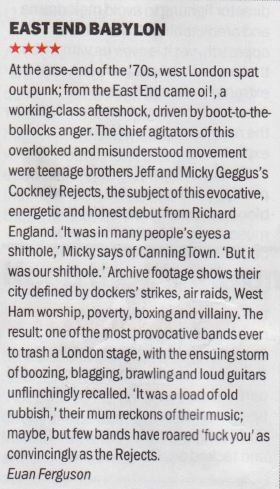 "A no frills look at the career of the band who were probably had more punk attitude that almost anyone else. Honest, brutal and always entertaining." "Jeff Turner was obviously singing to avoid killing someone." 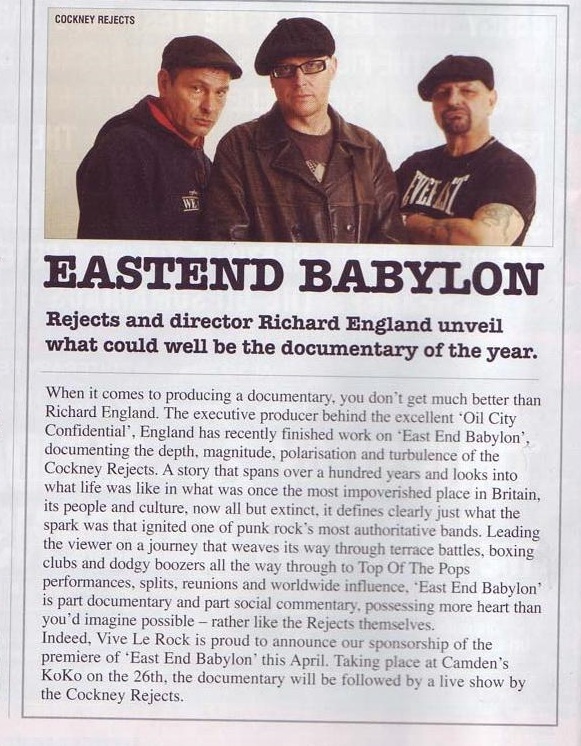 "The Rejects were the real deal"
"Rejects and director Richard England unveil what could well be the documentary of the year." 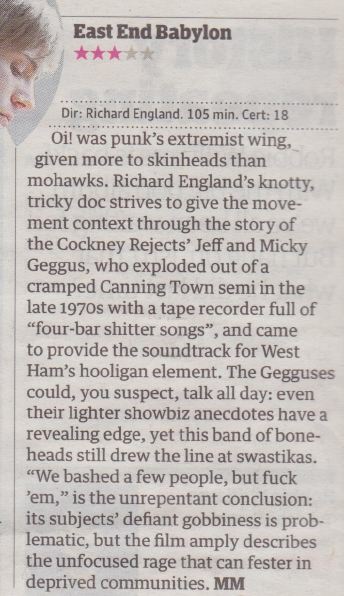 "An unflinching, bloody and bloody funny account of one of rock'n'roll's rawest tales - and an elegy to the East End that spawned it." 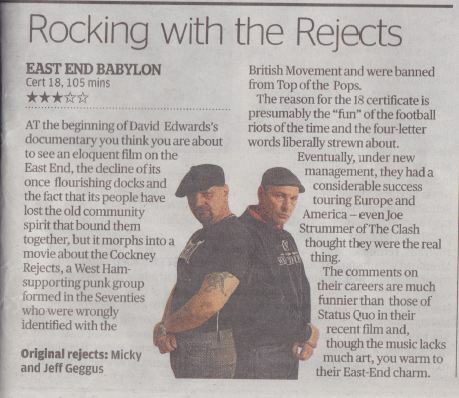 “At last a real film about the East End of London”. Richard England is a music business manager and producer. 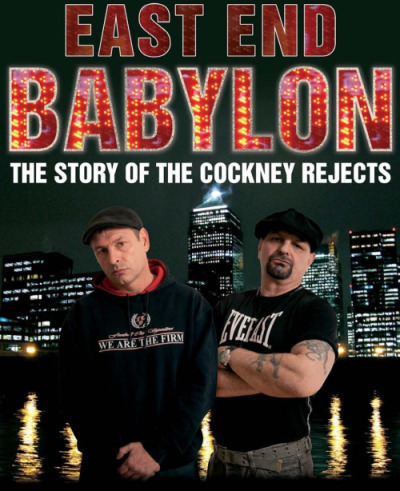 After exec-producing “Oil City Confidential” and inspired by Julien Temple to “learn from the master”, Richard decided to undertake his directorial debut with East End Babylon. 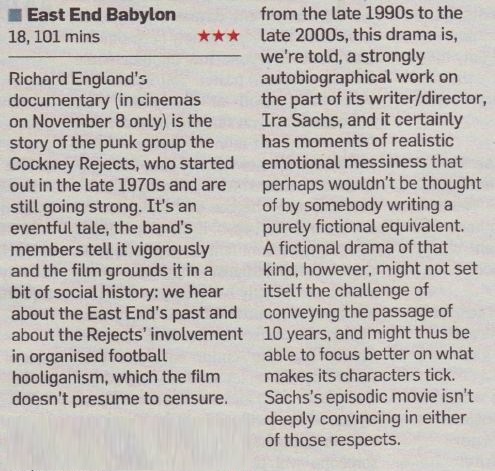 Born in 1968, the year of counter-culture, a West Ham fan and spiritual East Ender, Richard took his love of punk rock, Orson Welles films and a Sony A1 mini dv camera and followed the Rejects around the world on an incredible musical and football odyssey.